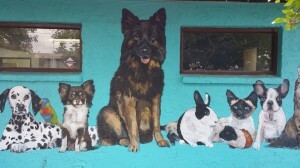 One of my favorite subjects is portraits!! I love painting people and animals! 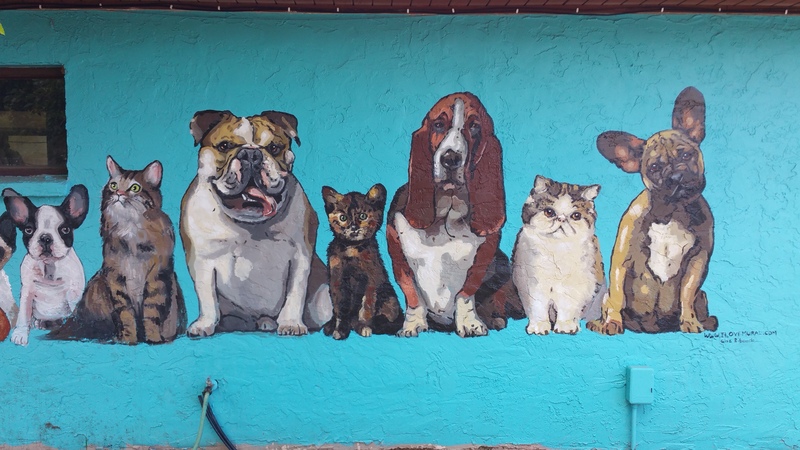 So this was sure an exciting project for me considering I got to paint this many pets! 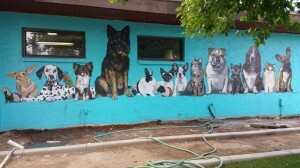 Sun Devil Pet Resort and Veterinary clinic in Tempe hired me to create this mural on the front of their building. These animals are larger than life each with their own personality! 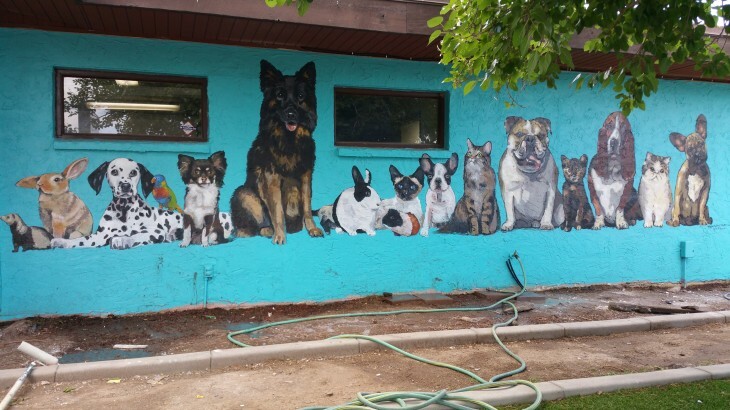 If you have a pet resort, clinic or shelter this is a great way to add character, draw attention to your business and set you apart from your competitors! For more information you can call me at 480-290-3030.